This month we are planning to deploy 3 satellite tracking devices onto 3 hawksbill females. These are known as Platform Terminal Transmitters (PTTs). 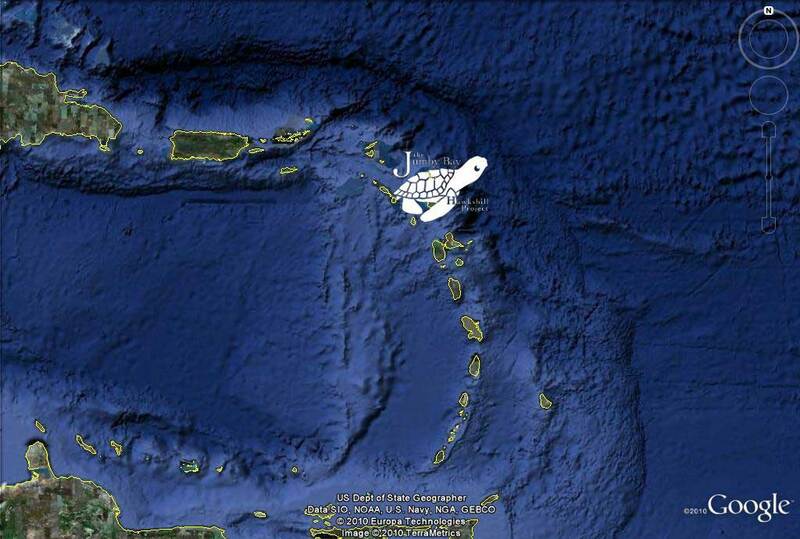 They provide information on the offshore movements of sea turtles that are otherwise near impossible to study. Roughly 10 years ago, the Jumby Bay Hawksbill Project(JBHP) deployed 3 PTTs, so it will be interesting to revisit the research in 2016. Tracking data can provide important information for the conservation of imperiled sea turtles. Understanding their movements can help us to protect key habitats that they occupy either during the nesting season or after it during migrations to foraging grounds. Despite this, tracking data seems to rarely translate to conservation action. Researchers out of the University of Exeter (a collaborator with the JBHP on other projects) just published a paper on that exact topic. Take a look at it here. With all this in mind, we are carefully planning how to place our PTTs. 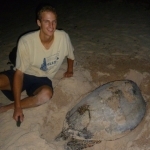 Dr. Matthew Godfrey, director of the sea turtle program for the NC Wildlife Resources Commission, and his colleagues have put together some really helpful guidelines. We are also considering which turtles to target (i.e. young vs. old), and at what point of their nesting season (i.e. during their first nest vs. their last nest of the year).